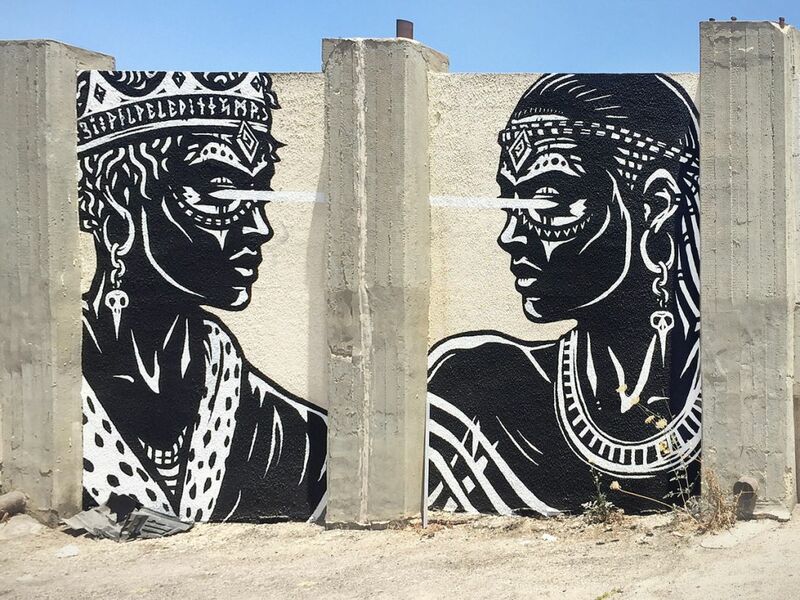 Municipal officials in Jerusalem, Haifa and Tel Aviv have stopped hounding faceless street artists and are instead commissioned them for murals in fringe areas, where their work boosts real estate values and draws tourists. Once subversive, graffiti is becoming more mainstream. The shift follows a realization among Israeli municipal officials that street art attracts foreign tourism and beautifies public spaces. 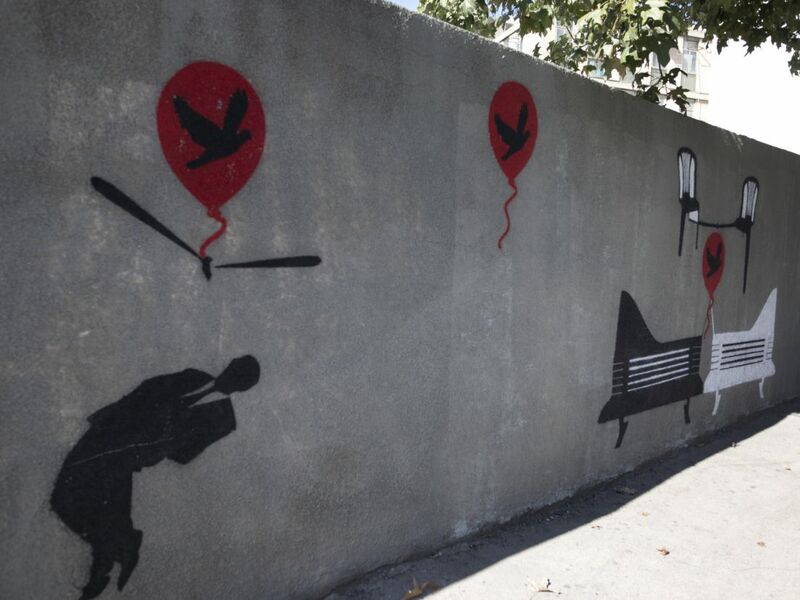 City officials in Israel’s main cities now have cooperative ventures with street artists. 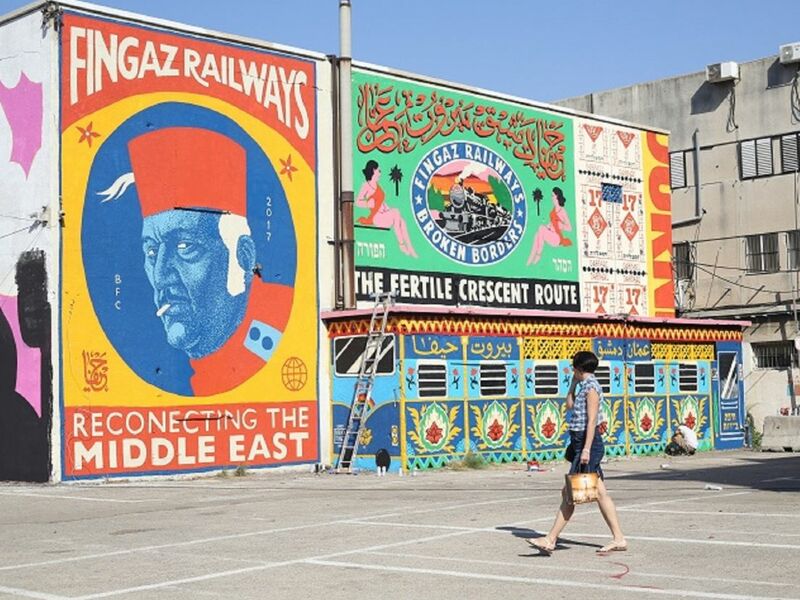 In Haifa, the Broken Fingaz Crew reins, their murals covering the exterior walls of the lower city. 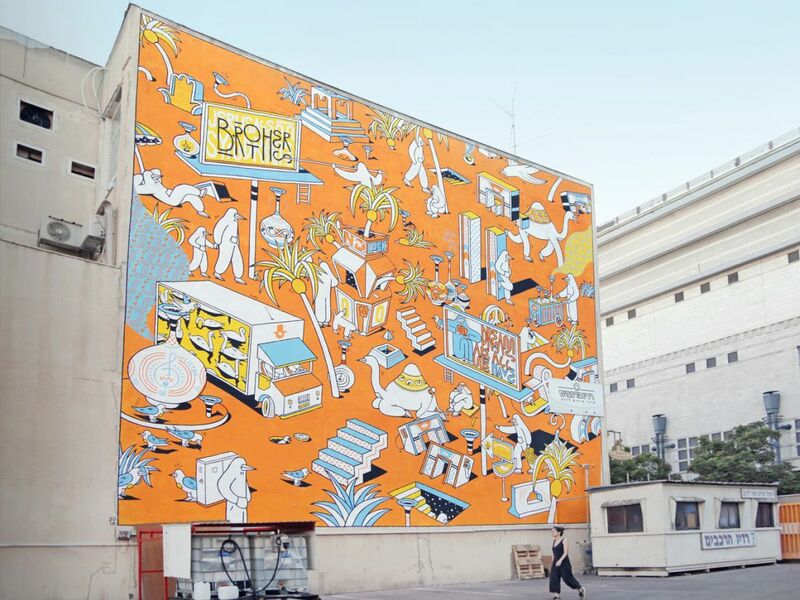 In Jerusalem, Israeli and international artists have been enlisted to decorate the walls of the city’s Talpiot neighborhood. The art in Jerusalem includes the work of street artists Pilpeled, as well as Addam Yekutieli, better known as Know Hope, and Mexican graffiti artist Smithe One. 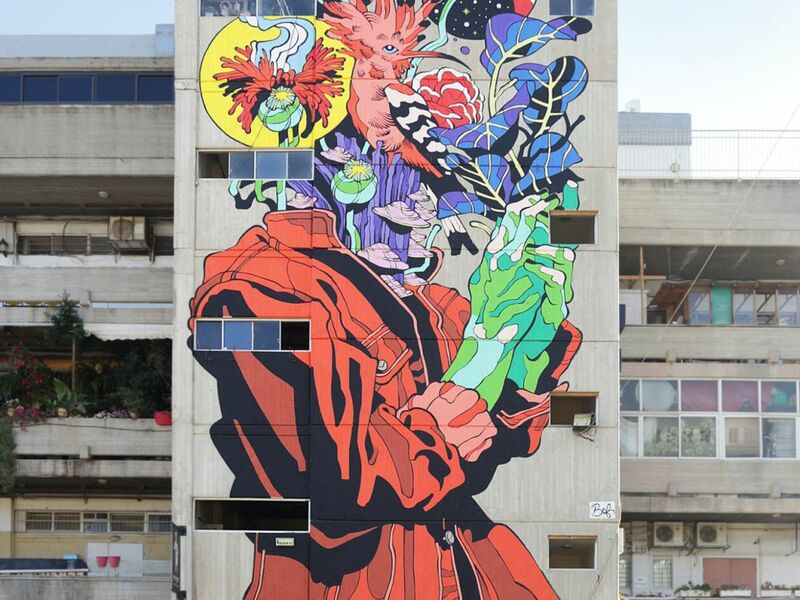 One mural, by Brazilian artists Bicicleta Sem Freio, depicts a figure several stories tall, wearing a red jacket over blue green limb, a profusion of birds and plants emerging where the head should be. The Jerusalemite siblings, Gab and Elna, known together as “Brothers of Light,” painted one of their iconic imaginary landscapes on a bright orange background. The mural is crowded with bird-beaked figures, including camels, humans and birds, surrounded by billboards, architectural structures, swaying palm trees and detached staircases. 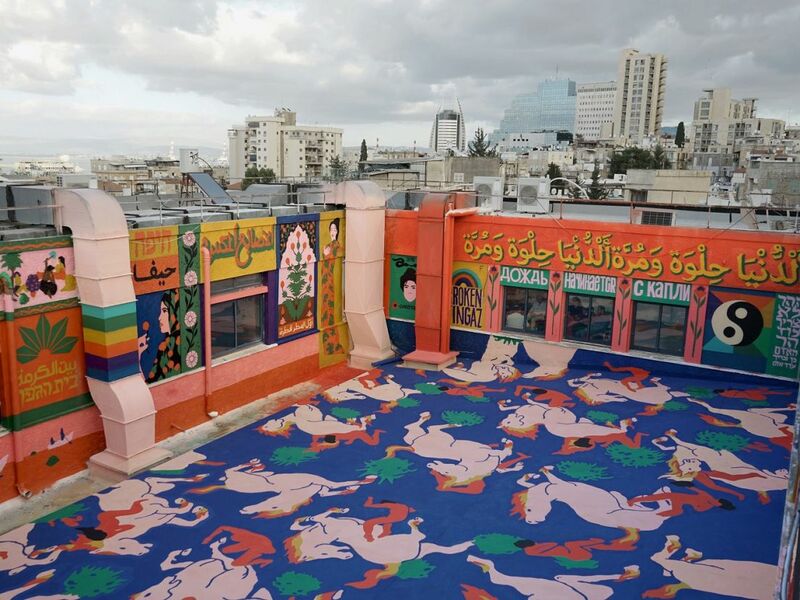 Nur Cohen, the project director at Eden – the Jerusalem municipality’s economic development corporation that commissioned the murals – told Haaretz that 12 murals have already been created, with another three in the planning stages. “The complicated part is finding the buildings before the artists get involved,” she said. 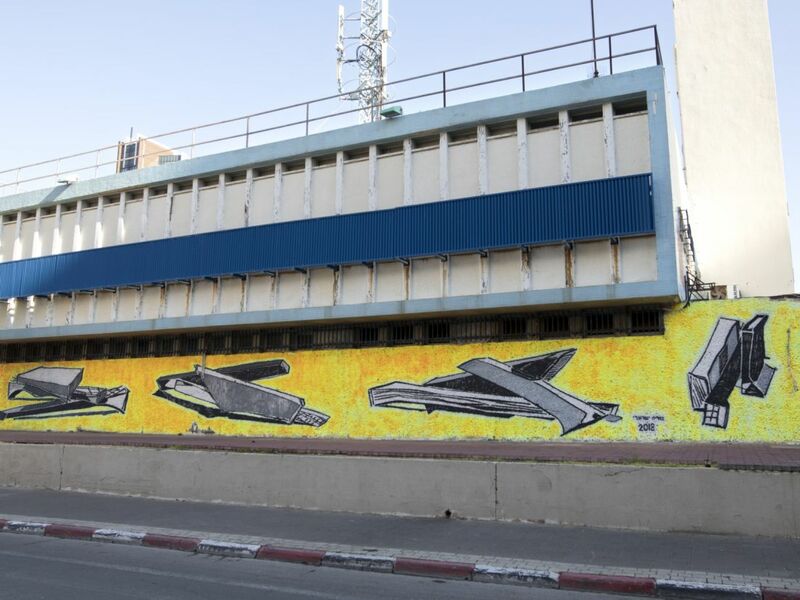 The Tel Aviv Municipality has had a mural project up and running for two years, commissioning street art for south Tel Aviv. 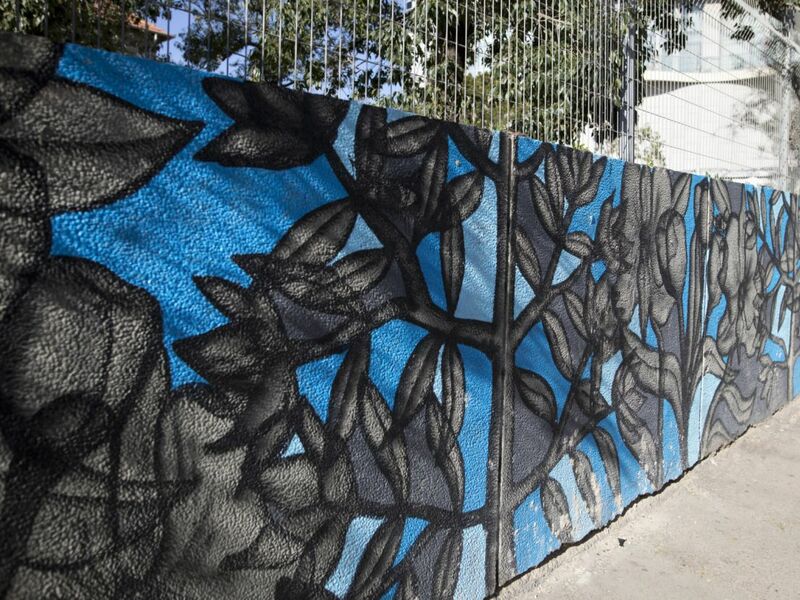 “We work with both street artists and artists who have never worked on the street before,” the municipal coordinator of plastic arts for the city, Maayan Nevo, said. The designs are proposed by the artists are reviewed by a committee and artists are paid for their work by the municipality, she added. 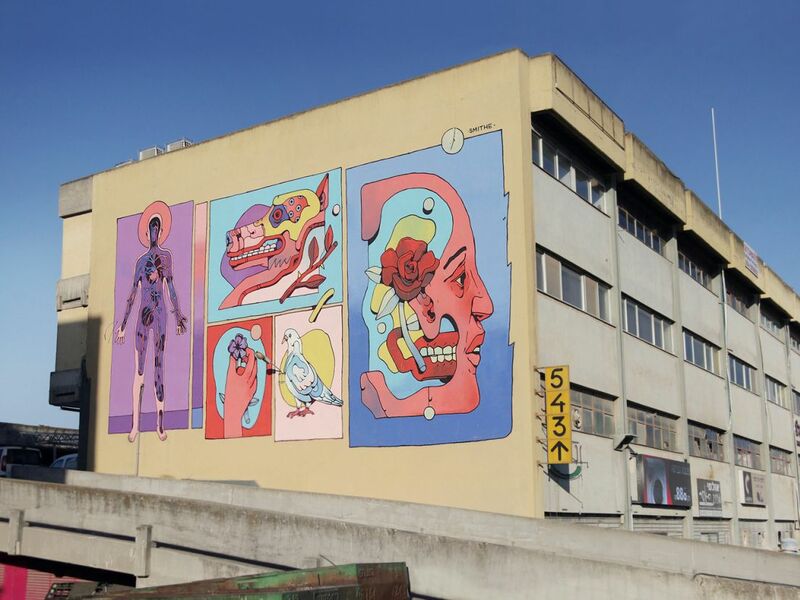 For her part, the director of the Tel Aviv municipal arts department, Tzlilit Ben Nevat, said locations are chosen for murals that will remain in place for at least several years. “But these aren’t mosaics that will be there forever.” The murals suffer wear and tear from exposure anyhow, she added. 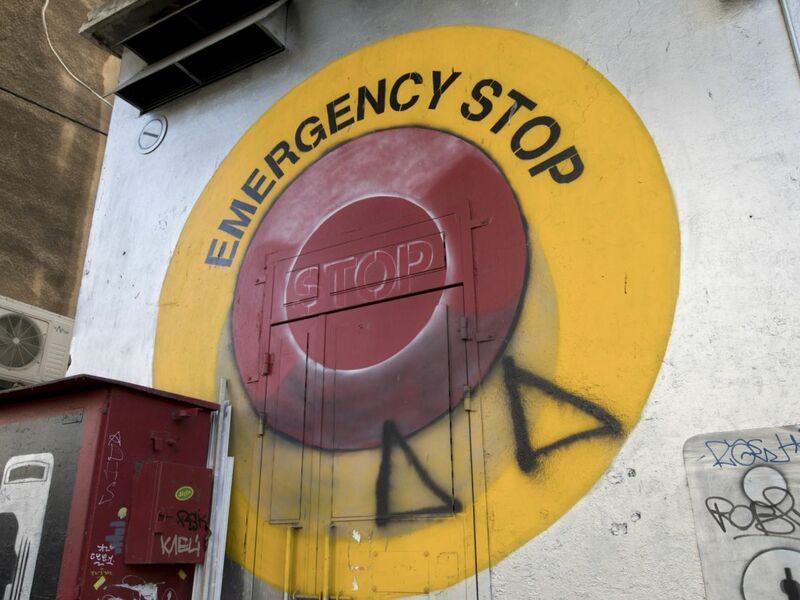 The first mural commissioned through the municipal program was “Emergency Stop” by street artist Dede, on a busy thoroughfare, King George Street. Dede matched the subject of his artwork to the function of the wall he painted on, which serves as an electricity room. On Hasharon Street in Tel Aviv, a monochromatic mural by Asaf Abutbul features familiar sites from Tel Aviv’s streets: a corner street sign, benches and a depiction of the Menashe Kadishman sculpture “Rise.” Abutbul wanted the mural to reflect the street itself. “On one side there’s a representation of the physical location and on the other there’s a businessman – there’s an attempt to integrate the two,” he said. The third mural, on Eilat Street, is by Ukrainian-born Israeli artist Klone. It’s painted on a wall that is about 30 meters (100 feet) long. The artist covered the wall with images of flowers and plants. He says it is an effort to inject a bit of “nature” into the urban area. 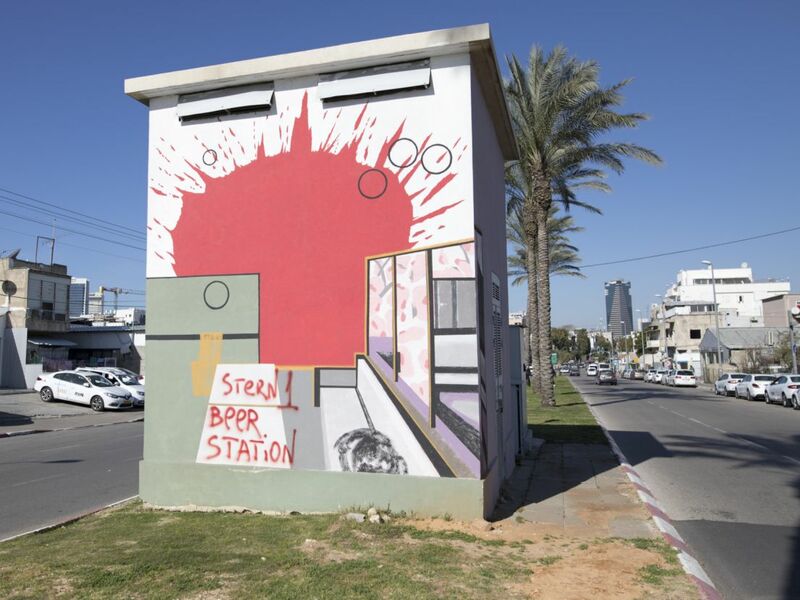 The fourth wall, by Talia Israeli, is on Mered Street on an abandoned building belonging to Bezeq, the telecommunications company. It faces the backside of two major hotels that face out to the seaside promenade. It features surreal architectural models that are devoid of function, contrasting the city’s familiar functional architecture. Finally, on a traffic island on Har-Tzion Blvd., stands a work by landscape artist Efrat Gal-Nur, a mural based on Israeli writer Amos Kenan’s dystopian novel “The Road to Ein Harod.” Gal-Nur has worked as an artist for 15 years, but this was her first attempt at graffiti.